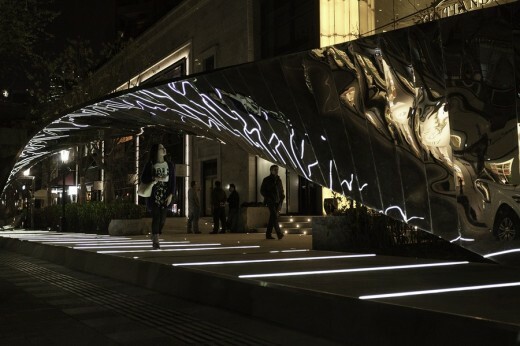 As part of the ‘RIBA Shanghai Windows Project 2014’ UNStudio was invited by China Xintiandi to create a gateway installation for the Xintiandi Style Retail Mall in Shanghai. 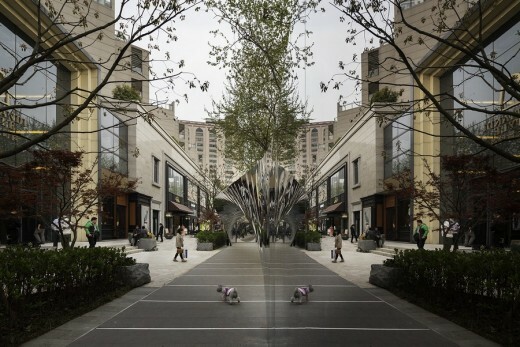 Located along Madang Road and framing the entrance to the mall, the project conceptually explores the role of display in Shanghai: the symbiotic relationship of cultural reflections that occur between the city’s occupants and the urban landscape. 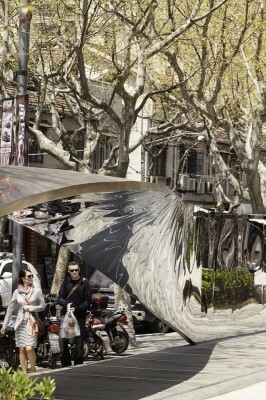 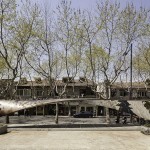 As an extended 30 meter long corridor archway that frames the entrance to Xintiandi Style Retail Mall, the project uses a single architectural gesture that transitions from wall to ceiling to wall, not only tracing pedestrians’ movements along its trajectory, but translating them into a reflection that revolves and inverts around the visitors as they walk through the installation. 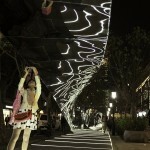 The pedestrians’ reflections move between a sequence of three ‘phases’ of context: retail, ground, and urban landscape. 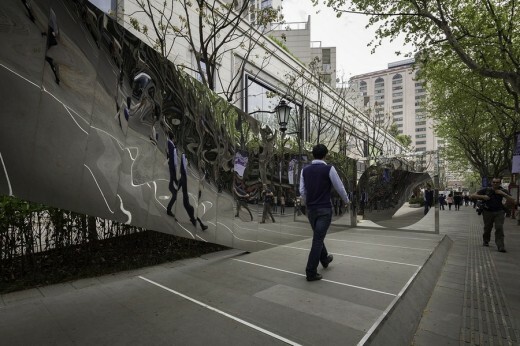 The large scale mirrors mounted at each end of the installation act as concentration points, capturing the whole lapse of the effect, and combining it into one moving image. 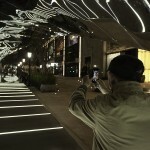 The result is a reinterpretation of the relationship between urban context and the viewer, binding these together in a cultural setting of the retail, the city, and its inhabitants.